New. 1520085672 Special order direct from the distributor. Very Good. 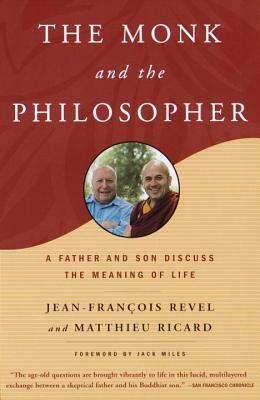 The Monk and the Philosopher: A Father and Son Discuss the Meaning of Life by Revel, Jean Francois, 2000-03-28. Trade paperback (US). Glued binding. 384 p.
Without Marx or Jesus; the new American Revolution has begun.